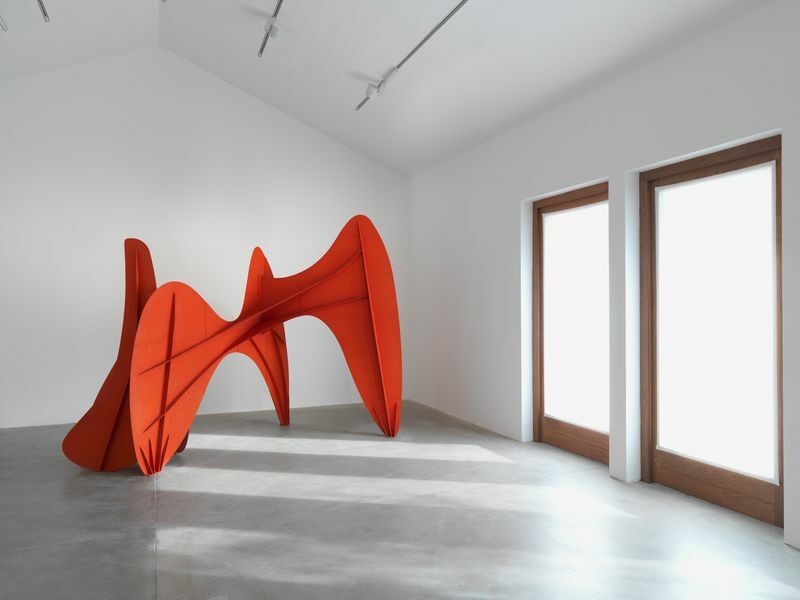 Hauser & Wirth Somerset is proud to present a major solo exhibition of works by Alexander Calder (1898 – 1976), the majority of which have never before been exhibited in the UK. 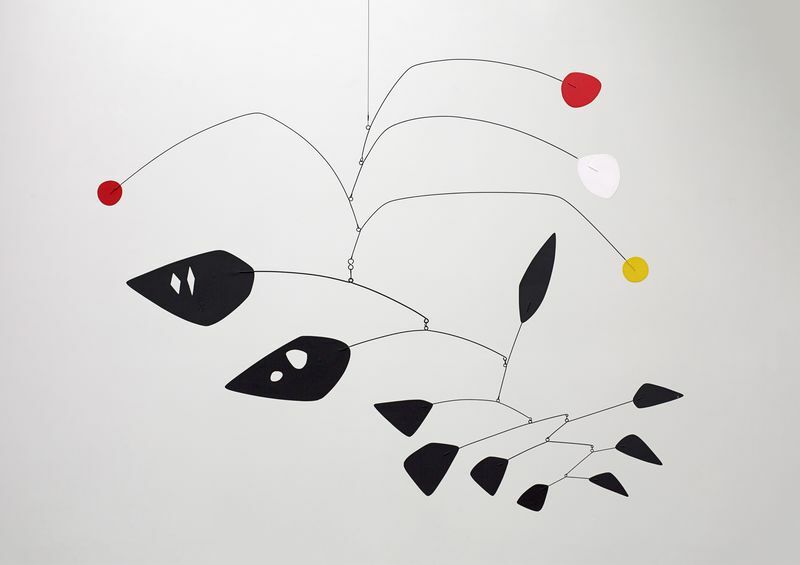 Calder was one of the most influential and pioneering artists of the twentieth century, transforming the very nature of sculpture by introducing the fourth dimension and the actuality of real-time experience into his work. Known primarily for his invention of the mobile, Calder created a prolific oeuvre that extended to wire sculpture, carved figures, stabiles, standing mobiles, oil paintings, works on paper, jewellery, furniture and domestic objects, and monumental public commissions across the globe. 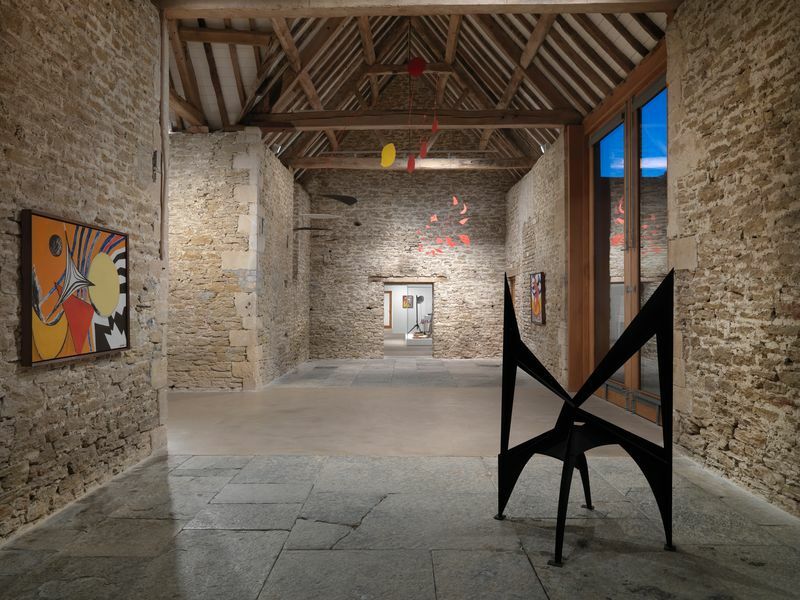 The exhibition ‘From the Stony River to the Sky’ runs through all five gallery spaces at Hauser & Wirth Somerset with almost 100 pieces, including large-scale outdoor works set within the gardens at Durslade Farm. 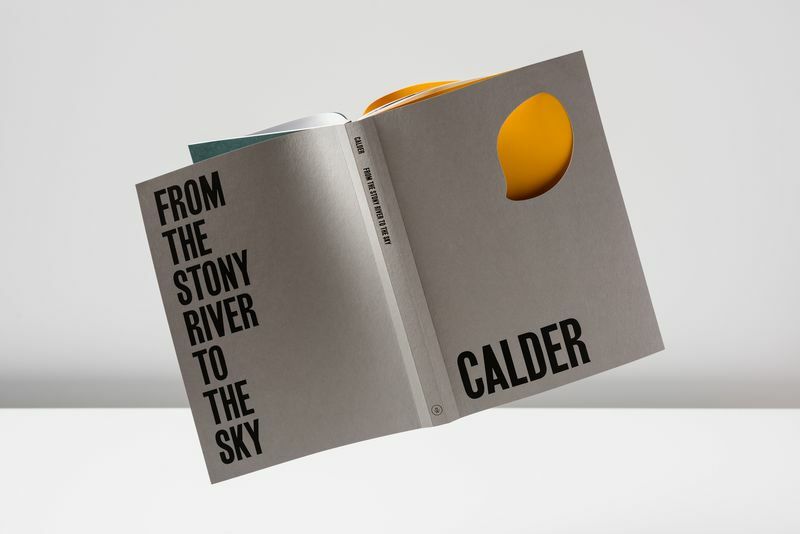 The exhibition takes its title from the etymology of the surname Calder in Celtic—meaning ‘from the stony river’—and its inspiration from Calder’s long-time home and studio in Roxbury, Connecticut. 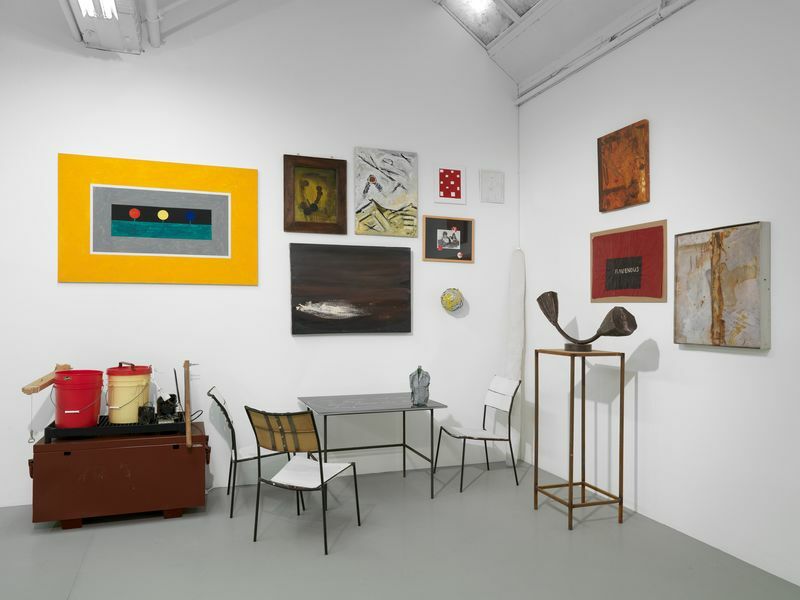 Purchasing the dilapidated farmhouse in 1933, Calder and his wife Louisa adapted it to fit their growing family, and Calder built three studios over the years to accommodate his burgeoning ambitions as an artist. 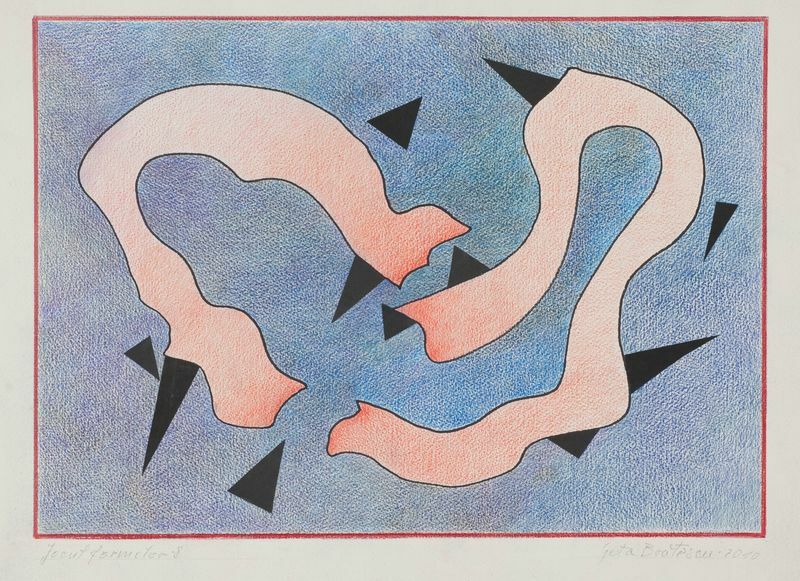 In 1934, the expanse of his Roxbury hills inspired Calder to make outdoor sculptures, among the first of which is exhibited here inside the galleries: ‘Red, White, Black and Brass’. Also on view are two important surrealist works from 1938: ‘Apple Monster’, made from a fallen branch of an ancient apple tree on the property, and an untitled sister sculpture, which features a found cow vertebra and spheres perched atop wires, expressing a range of vibratory qualities. 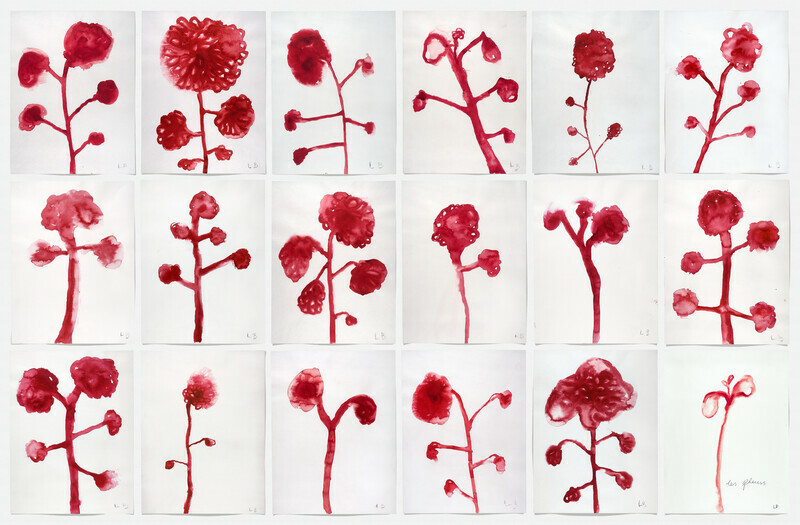 Calder’s direct and innovative approach runs through every aspect of his oeuvre, from the monumental to the intimate. 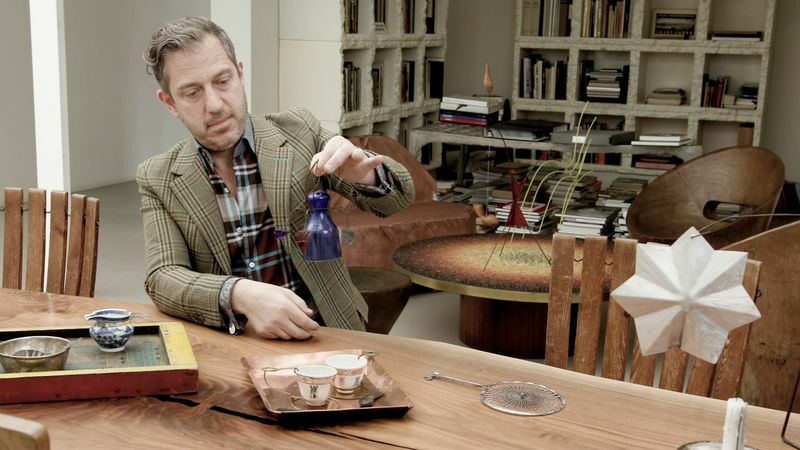 Occupying two galleries within the exhibition is an extraordinary selection of the artist’s handcrafted domestic objects borrowed from the Calders’ Roxbury home, including a chess set, chairs, a coffee table, and a lamp, among a multitude of other ingenious yet functional devices. 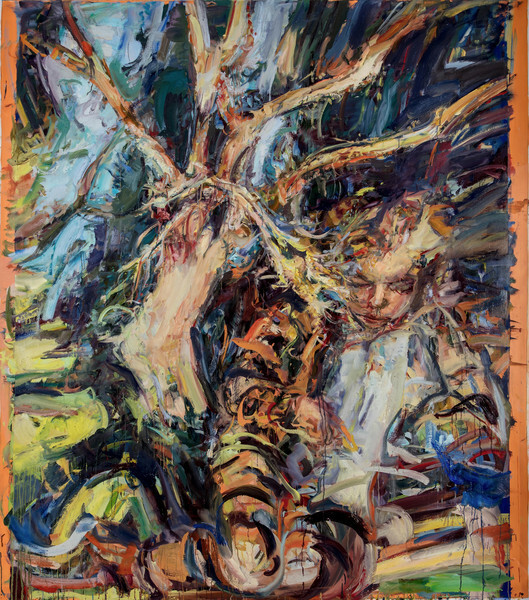 This will be the first time many of these objects have ever been on public view, not only offering insight into the artist’s life but also revealing the integration of his artistic practice. A selection of Louisa’s jewellery will also be shown, highlighting a body of work that Calder largely created to gift to his family and close friends. 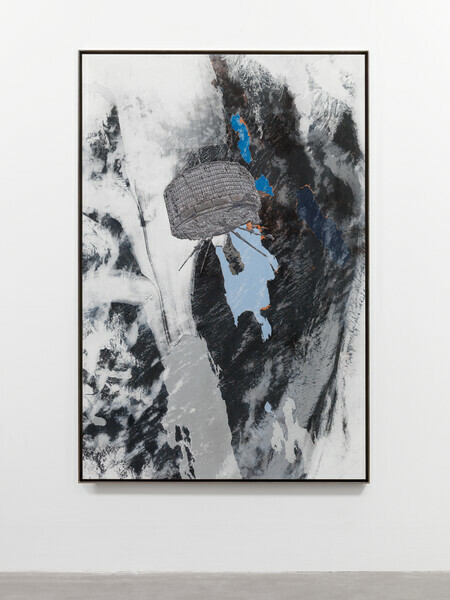 Among the most recognisable of the artist’s works in the exhibition are the mobiles, stabiles, and standing mobiles, as well as oil paintings from the 1940s and 1950s. 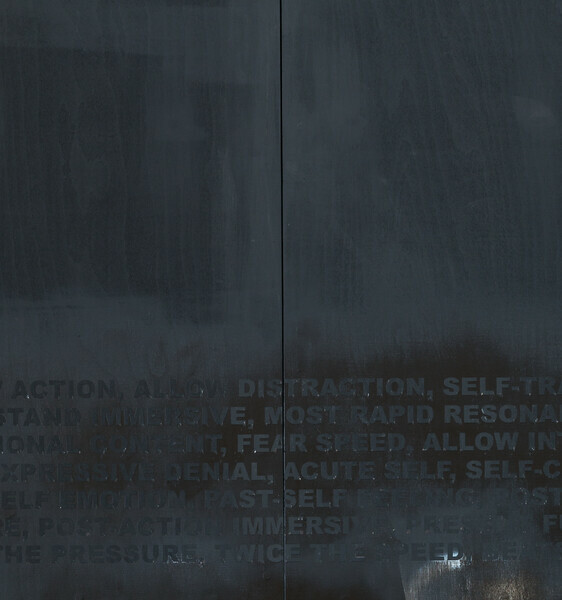 The presentation culminates with several largescale works installed indoors, including a huge intermediate maquette for ‘La Grande vitesse’, his famous commission for the city of Grand Rapids, Michigan, in 1969. These sculptures bridge a link to the surrounding gardens, where five stabiles and a standing mobile are on view, among them ‘Funghi Neri’, created for the XI Triennale di Milano in 1957, and ‘Polygons on Triangles’, 1963, whose sheet metal planes slice through space and sculpt volumes out of voids.